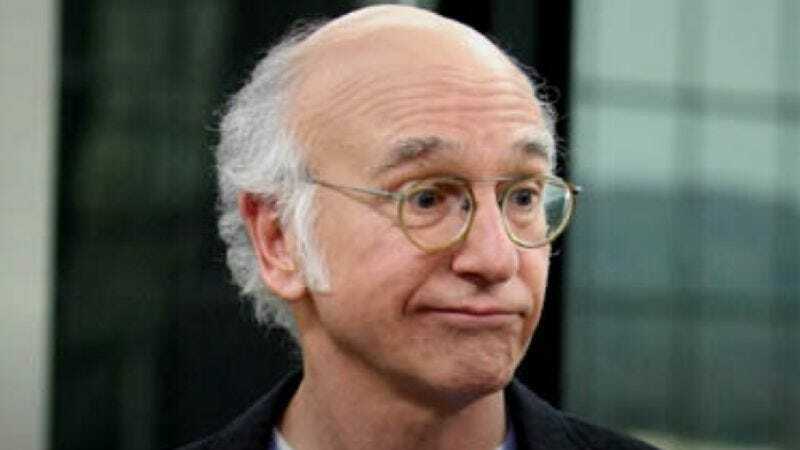 Larry David's mostly improvised film co-written with his Curb Your Enthusiasm staff of Alec Berg, David Mandel, and Jeff Schaffer—but which is nevertheless not a Curb Your Enthusiasm film—continues to muddy that distinction somewhat with the news that it will end up airing on HBO instead of in theaters. According to the Los Angeles Times, David had set the mystery project up at Fox Searchlight earlier this year with Greg Mottola, then attracted a supporting cast that includes names like Jon Hamm and Michael Keaton. And yet somehow Fox Searchlight balked at offering David the same sort of money that HBO was willing to pony up, despite the presence of Jon Hamm and Michael Keaton—two actors who should get all the money, all the time. But whatever: Larry David's film will screen on HBO now, and if you're insistent on having the movie theater experience, simply invite 60 people over to fill your living room with coughs and farts.